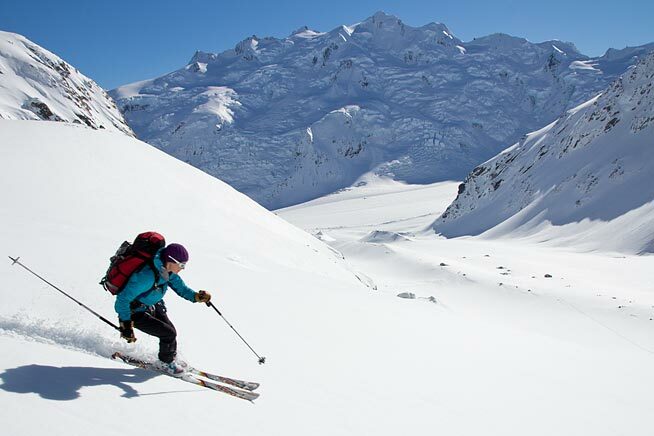 Ski the best terrain New Zealand has to offer! 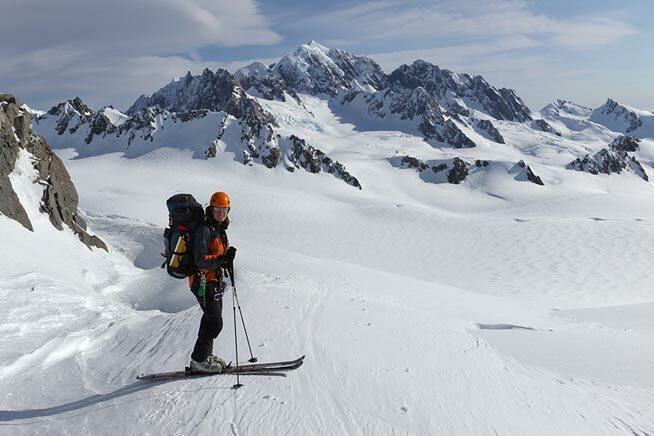 Alpine Recreation offers ski touring trips and backcountry ski courses in New Zealand's most spectacular winter wilderness locations. 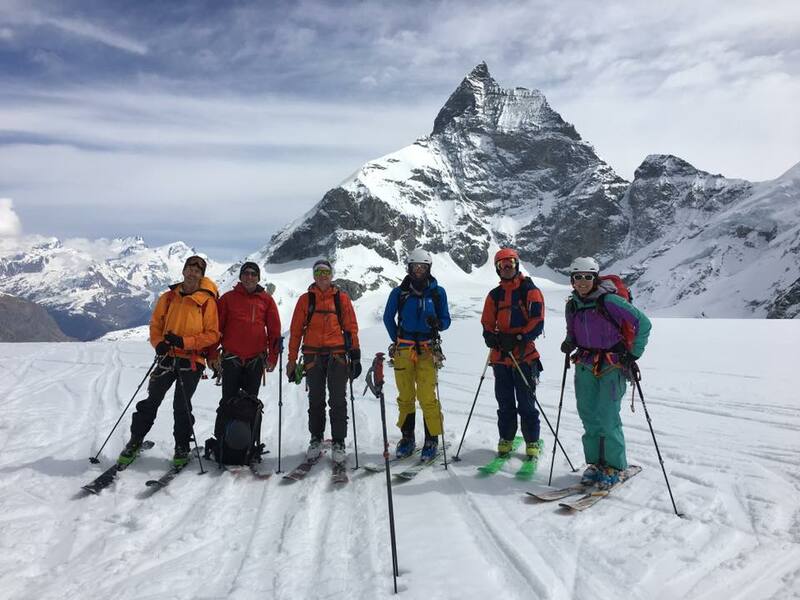 With two private, heated huts and a choice of many other venues, Alpine Recreation provides a wide range of ski touring options to cater for various ski abilities, fitness levels and personal objectives. 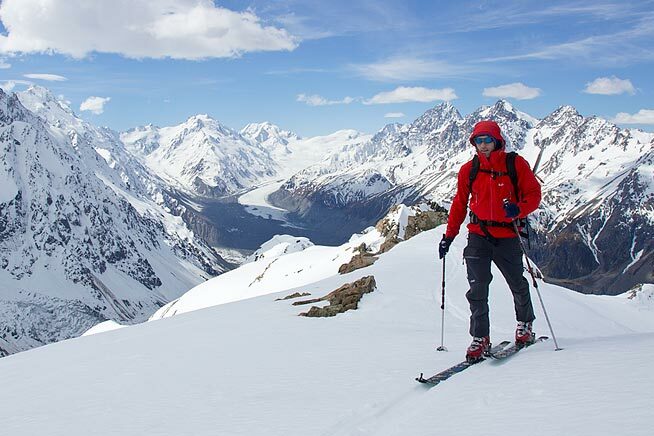 The glaciers in the Mount Cook and Westland National Parks offer New Zealand's most spectacular alpine ski touring and ski mountaineering terrain with multiple hut-based day trips and hut-to-hut options for experienced ski tourers. Our "Symphony on Skis" links all four of these major glaciers into one epic hut-to-hut expedition! 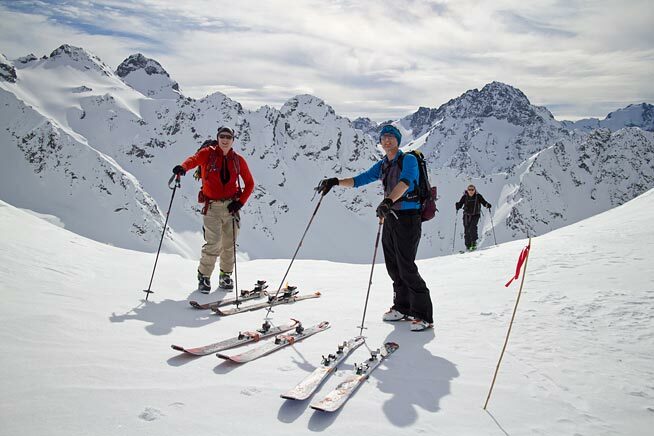 Come and explore New Zealand's winter playground, enjoy the warmth and ambience of one of our private mountain huts and the peace of mind of being guided by our enthusiastic and experienced IFMGA and NZMGA ski touring guides. "Your company's history and then execution I would say is impossible for a competitor to replicate. You guys have an exceptional offer. When I think of continual improvement in my business there is so much I want to do, but I think with Alpine Recreation you will have to be careful to try and retain the current experience. Better may destroy the experience. But really there is nothing you could have done to improve things for me." - D. Mansell, New Zealand. Stunning views and everything from mellow valley runs to steep chutes make this a great option for all abilities. Big mountain terrain and steep skiing for advanced to expert skiers. The 4WD access adds to the adventure! NZ's highest skiing terrain - an amazing experience for intermediate to advanced ski tourers to explore our vast glaciers. 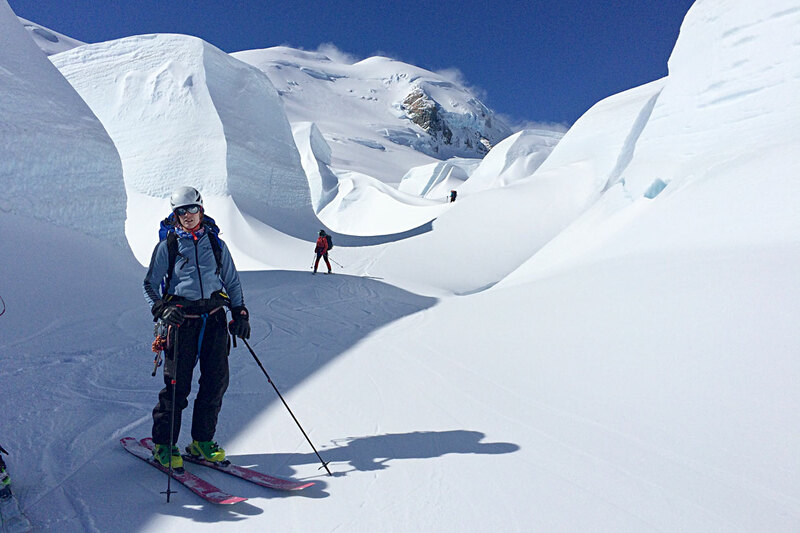 A week ski touring and exploring on New Zealand's stunning glaciers - a girls-only group, guided by two of NZ's select few female ski guides. Explore new terrain and learn backcountry skiing skills with enthusiastic, qualified instructors in a spectacular location! 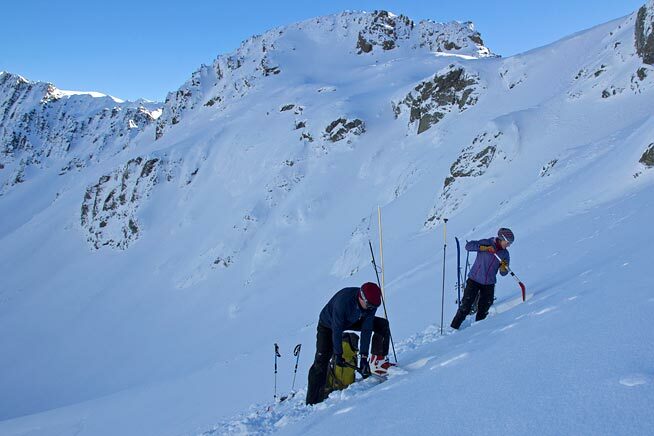 Learn the technical skills required to travel safely in avalanche terrain and perform a companion rescue. If you can walk you can ski nordic! Experience the peaceful wilderness location, stunning views and warm cosy hut. Spectacular views of Mt. 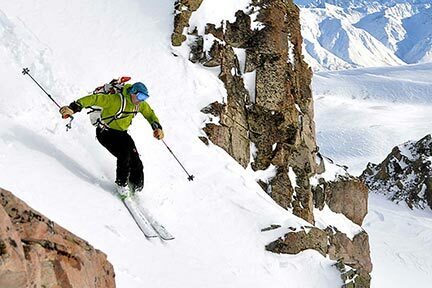 Cook, steep descents and exposed terrain make this is an excellent adventure for expert skiers. 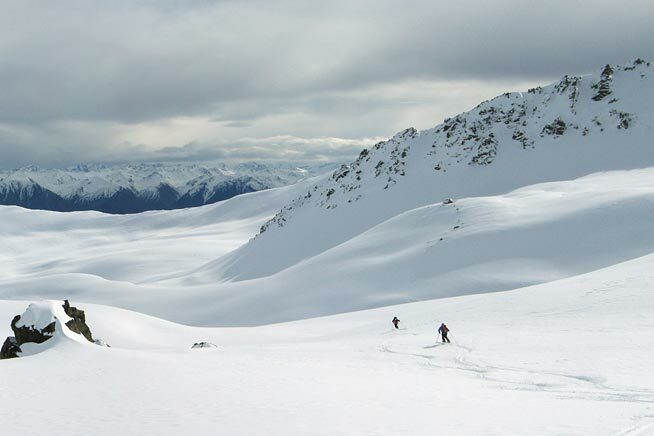 NZ's ultimate ski tour traverses the Southern Alps via our 4 main glaciers and is on every experienced ski tourer's bucket list! 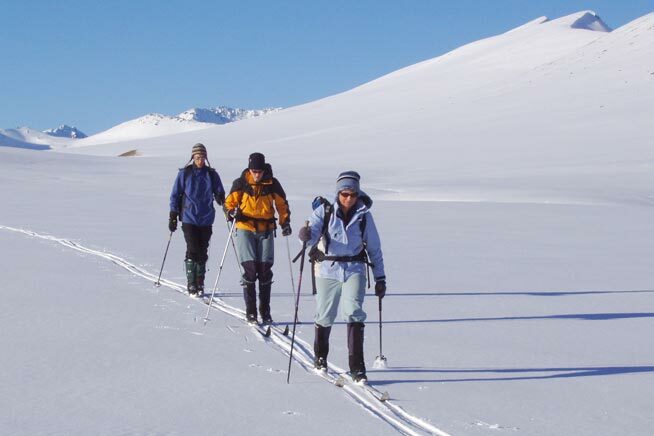 This famous ski traverse crosses the European Alps from Chamonix to Zermatt. Please contact us to arrange your expedition (European winter season only). 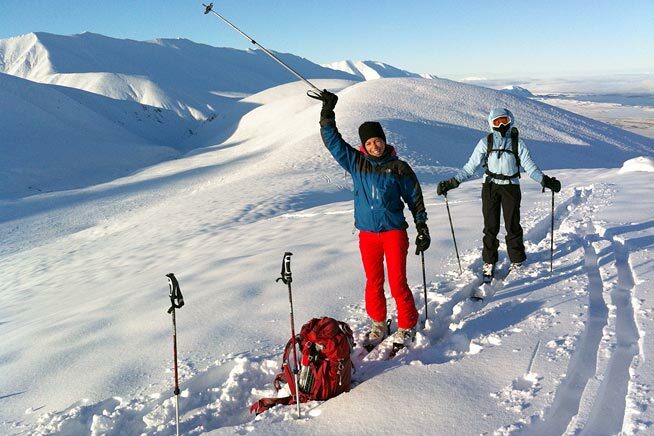 We can arrange custom ski touring expeditions on request. Please contact us.